Just two days after the election, both Republican and Democrat caucuses have selected their leadership teams for the upcoming legislature. Kevin Grantham, a Republican and six year veteran of the the State Senate, will enter his final two years in that chamber as Senate President. Grantham is taking the reins from Bill Cadman, a popular figure at the Capitol, who served a total of 16 years in both houses. Jerry Sonnenberg, another popular lawmaker, was elected as Senate President pro Tempore, following Ellen Roberts. Sonnenberg is a long time veteran under the Golden Dome, first elected to the House of Representatives in 2006, and moving on the the Senate in 2015. Douglas County’s Chris Holbert, elected to the State Senate in 2014 after spending four years in the House, was chosen by his peers as Senate Majority Leader. Senate Democrats chose Lucia Guzman as Minority Leader. 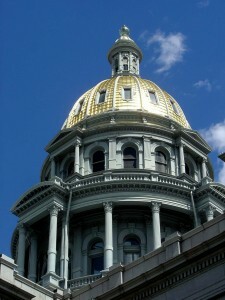 Guzman, representing Denver, was appointed the the Senate in 2010, when Paula Sandoval took a pay raise and new position on the Denver City Council. Guzman later won election in both 2010 and 2014. In the House of Representatives, Cristana Duran of Denver was elected Speaker, running unopposed. She is the first female Hispanic Speaker of the House, and replaces Boulder’s Dickey Lee Hullinghorst, who was term-limited (thank God). In a three way race for House Majority Leader, Rep. K.C. Becker of Boulder edged out Reps. Mike Foote and Faith Winter. Democrats also chose Alex Garnett as Assistant Majority Leader and Brittany Pettersen as Majority Whip. House Republicans elected Patrick Neville House Minority Leader, Cole Wist as Assistant Minority Leader, and Lori Saine as Minority Whip. Both teams take the field just two months from tomorrow, when the 71st Colorado General Assembly comes to order.